A burning candle filmed out of focus, creating an inspiring and ever changing abstract scene. A perfect motion graphic for your video, this video loop, the missing link for your video library. 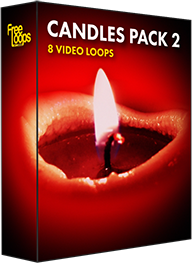 This video loop is part of Candles Pack 2.